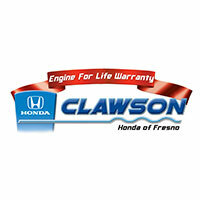 If you’re looking for a high-quality used Honda near Clovis, look no further than the pre-owned Honda inventory at Clawson Honda of Fresno. Our Honda dealer near Clovis, CA, has a huge selection of used cars for sale, and our sales experts will provide you with all the information you need to save time and money. Our family-owned and -operated Honda dealer has been faithfully serving California drivers for over 40 years, so you can rest assured you’ll be well taken care of when you visit our lot. We offer different used car warranties that set us apart from other dealerships in the area, so don’t hesitate to ask about our Engine for Life Warranty or other service plans you may be eligible for. Available to test drive your vehicle at our local dealership and meet with your sales person. Whether you’re looking to buy a used car or a Certified Pre-Owned Honda, you’ll be treated with the respect you deserve. Clawson Honda of Fresno is an authorized Kelley Blue Book® Instant Cash Offer dealer, so you can bring your trade-in to us with confidence. If you choose to shop with iClawson, our convenient online car-buying service, you can easily browse our entire used car inventory from the comfort of your own home. With this technology, you can buy your car 100% online, split the process between online and in store or come into our dealership and our sales experts can walk you through everything. By offering a variety of choices we make the car-buying process as simple as can be. Clawson Honda of Fresno, the first Honda dealer in the valley and the first valley Honda dealer to help you skip the trip to the dealership with iClawson, the future of car buying.